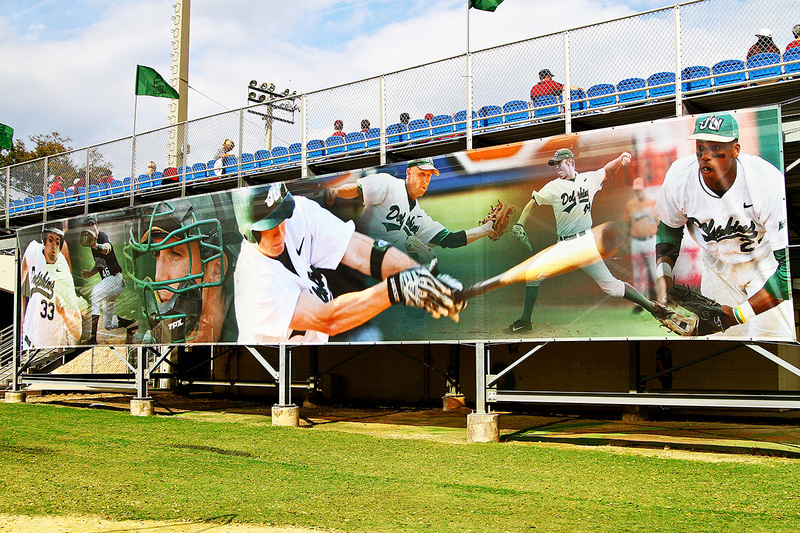 This past January, John Sessions Stadium was redecorated with custom artwork that pays homage to a program steeped in tradition. 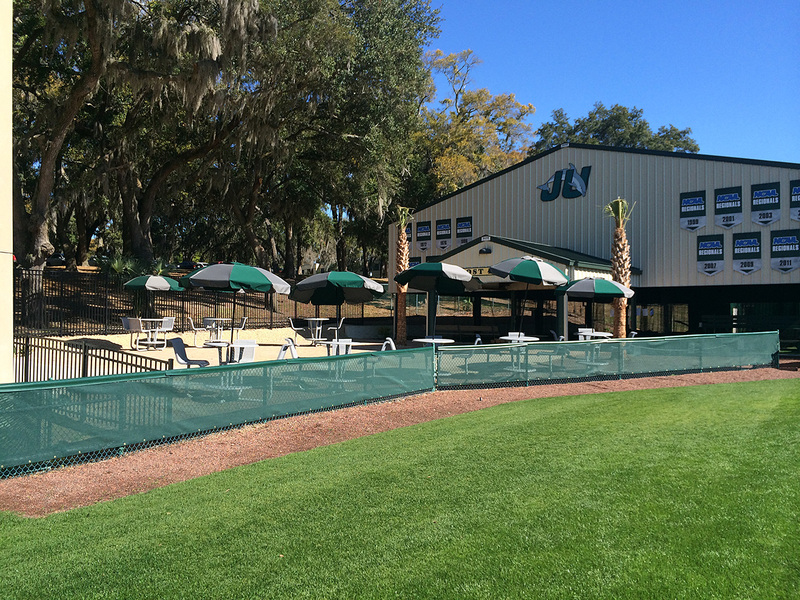 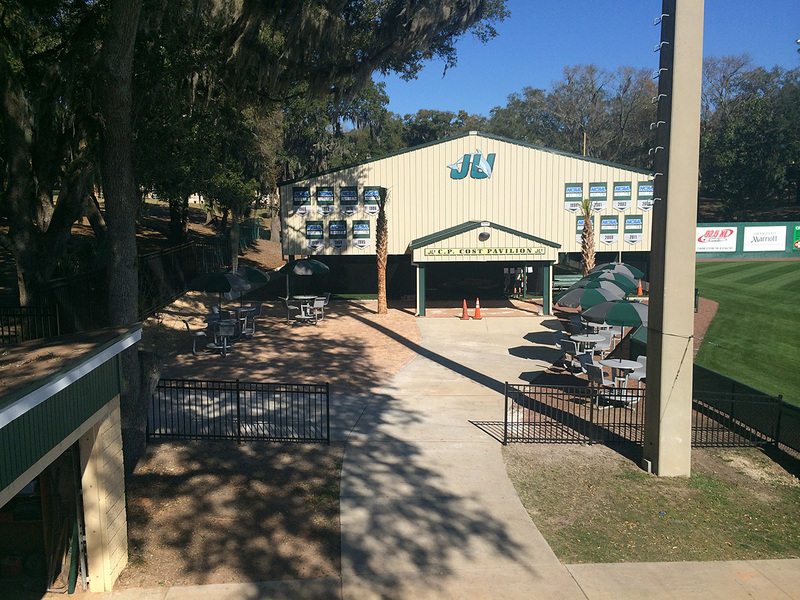 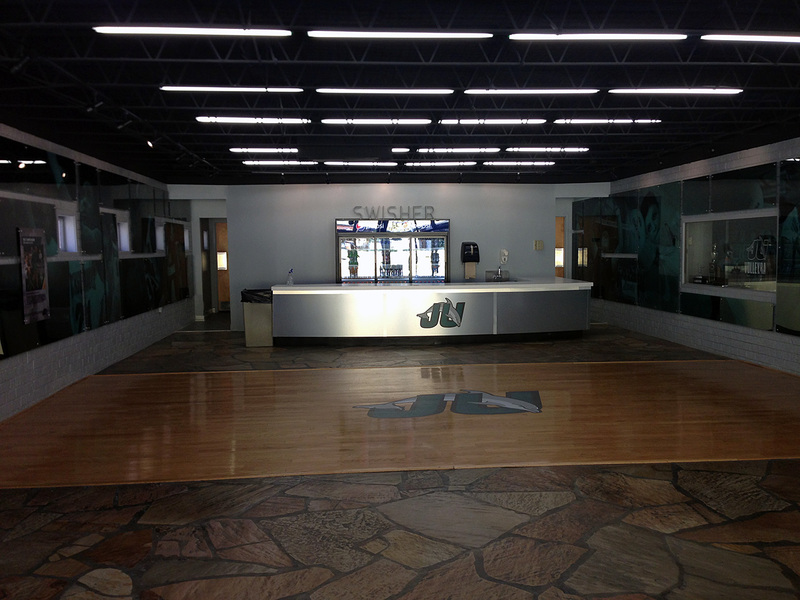 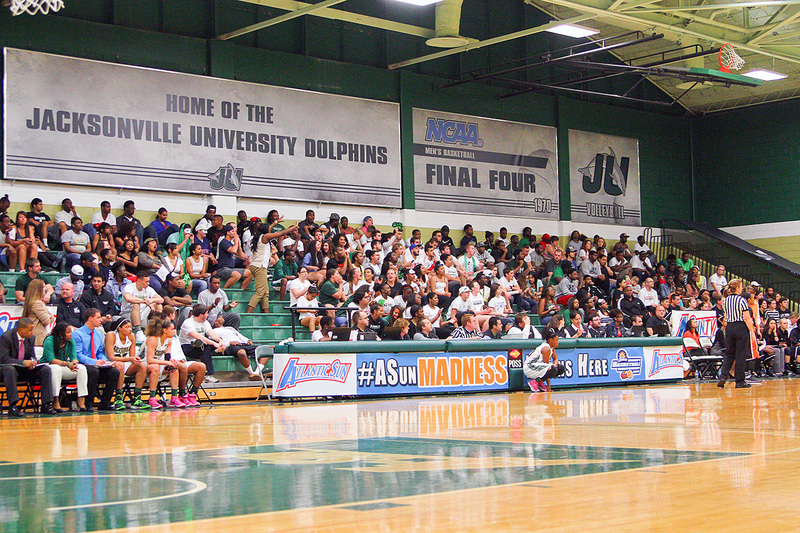 Later, in the spring, JU’s Historic Swisher Gymnasium unveiled updates of its own. 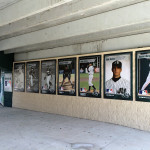 The most notable addition at Sessions sits on the rear side of the first base bleacher section, in the form of a 60-foot-by-20-foot windscreen mural highlighting former Dolphin greats. 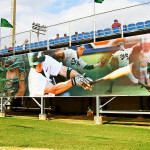 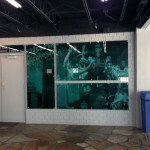 This 1,200-square-foot collage gives spectators an instant feel that they are in Dolphin Baseball country as they approach the facility from the north. 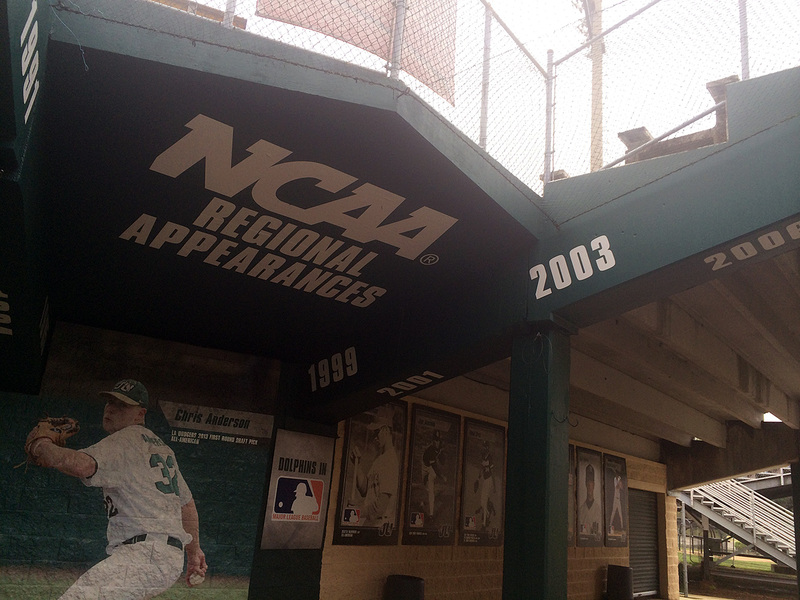 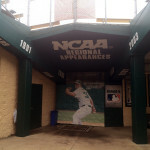 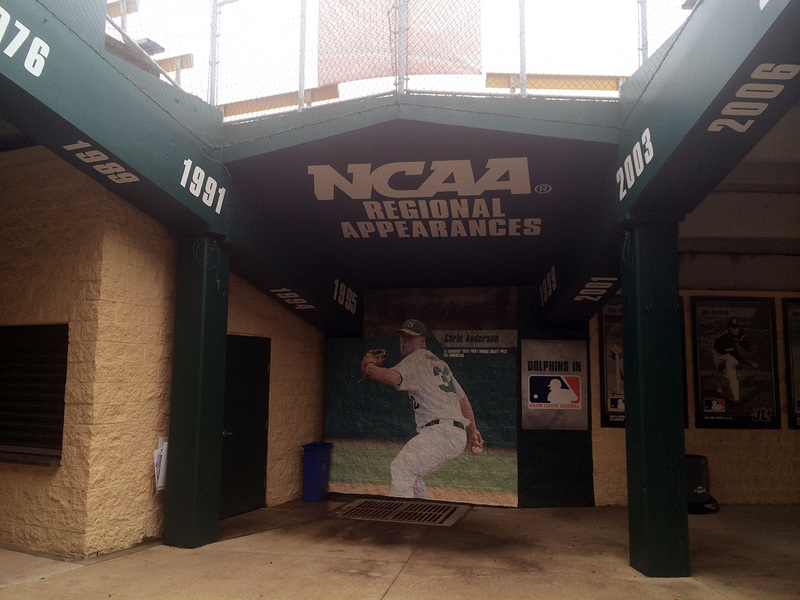 The main entrance stands out as well, as inside the front gate the walls and overhead columns have been painted green and are affixed with the years of all 14 NCAA regional appearances by the program. 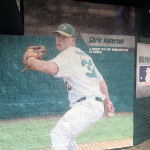 A commemorative 9-foot-by-10-foot mural honoring 2013 First Round MLB Draft Pick Chris Anderson, who was taken 18th overall by the Los Angeles Dodgers, stands alongside the back wall. 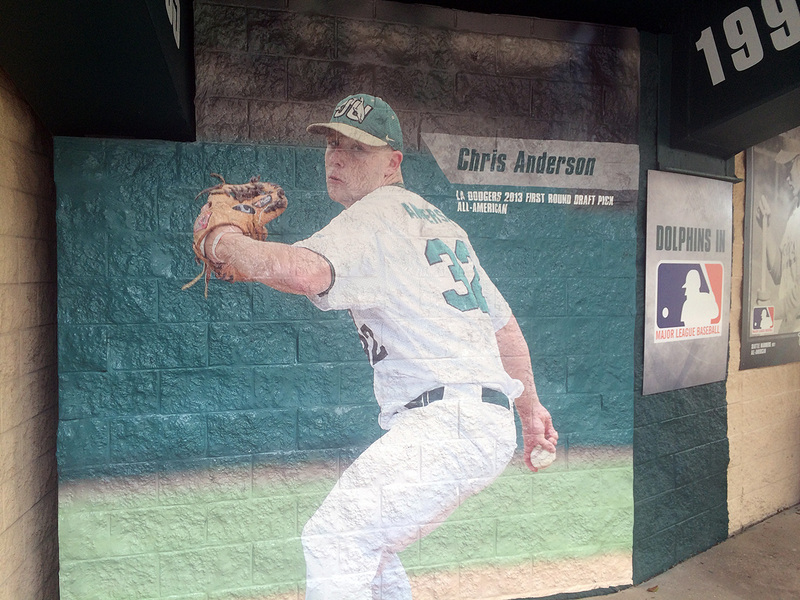 The wall to the right of Anderson’s mural holds pictures of former and current major league players from Jacksonville University, including Tom McMillian, Joe Ausanio, Ivan Cruz, Talmedge Nunnari, Juan Padilla, Nick Regilio, Paul Runge, and Daniel Murphy. 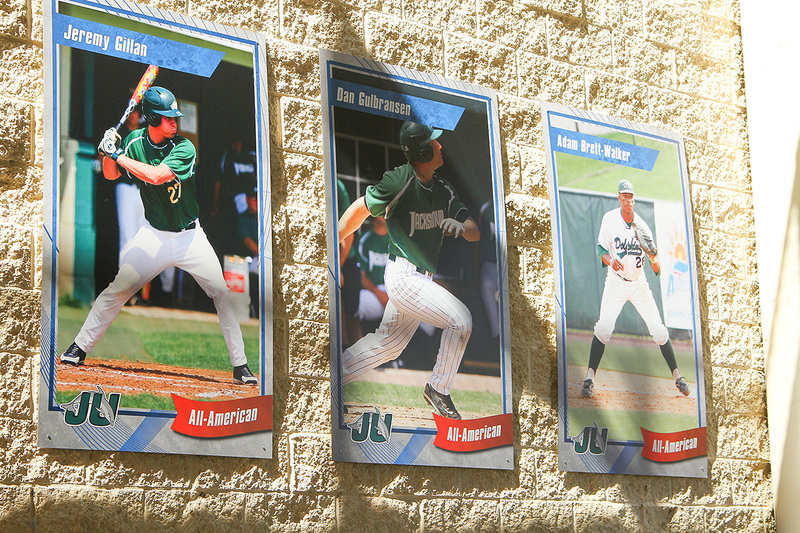 On the wall facing the legendary Con“Sessions” Stand are commemorative pictures of the 16 former Dolphin All-American greats. 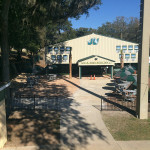 New to the main entrance promenade is The Jacksonville University Bookstore Game Day shop. 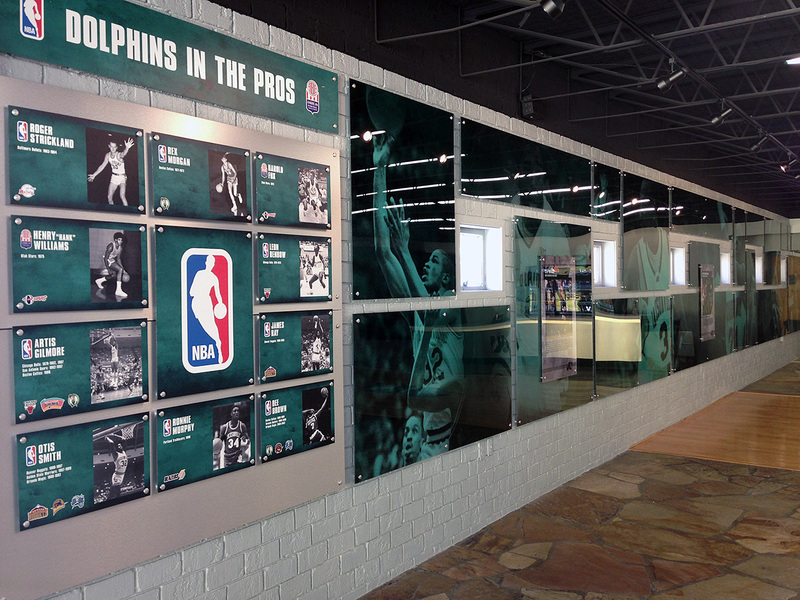 The new Game Day Shop is next door to the Con“Sessions” Stand and is the place to get the latest gear and memorabilia at every Dolphin home game throughout the season. 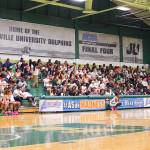 VIP Supporters of the program now have a modernized seating area to enjoy all the comforts of the game: a 4,000-square-foot seating area complete with custom high-top chair seating. 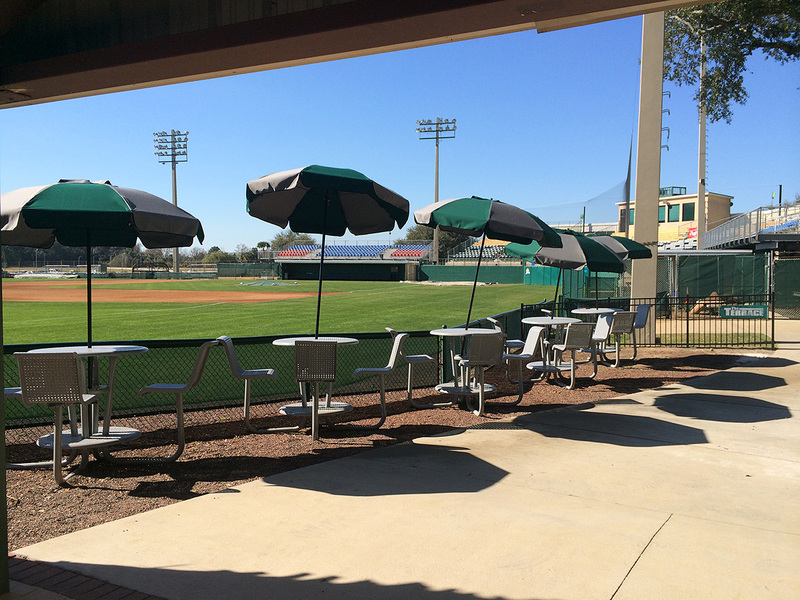 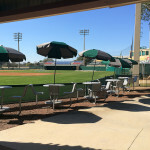 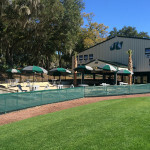 Located down the left field line in front of the Dolphins Bullpen and C. Peter Cost Pavilion, the entire area is covered with brick pavers and offers spectators a unique viewing experience. 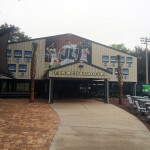 The front facade of the Cost Pavilion has also undergone a transformation. 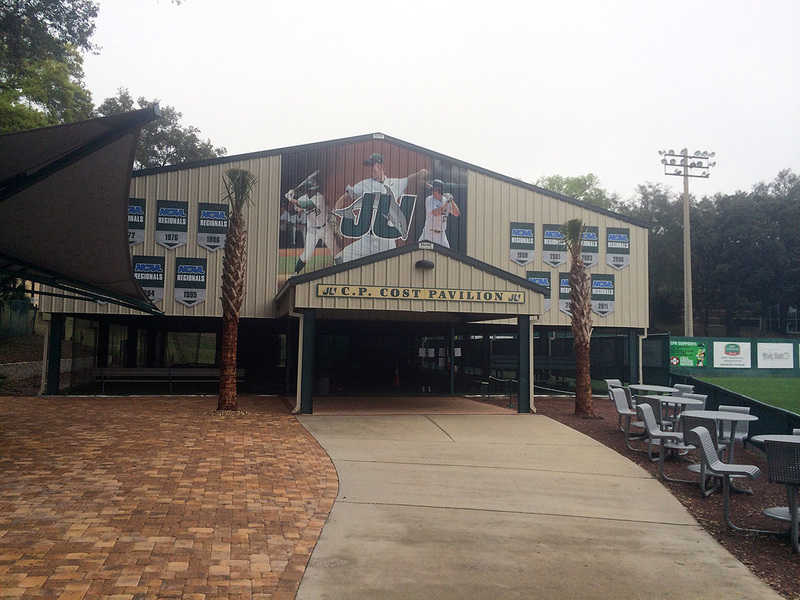 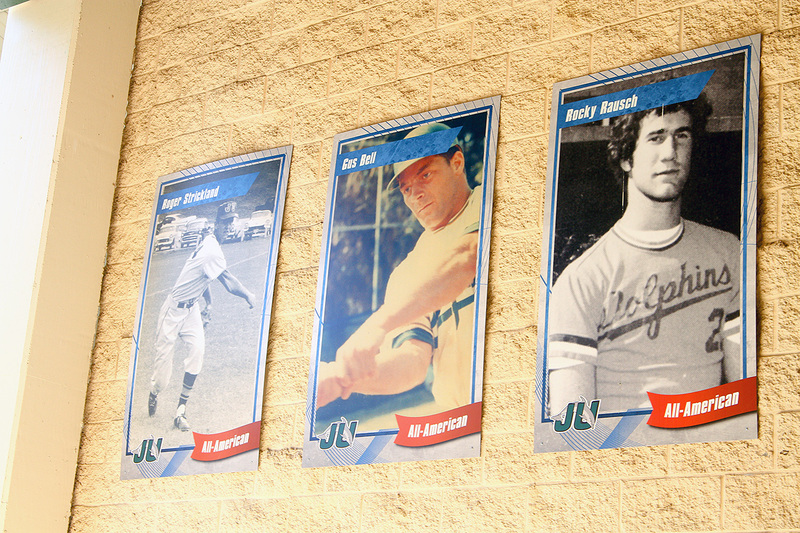 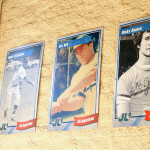 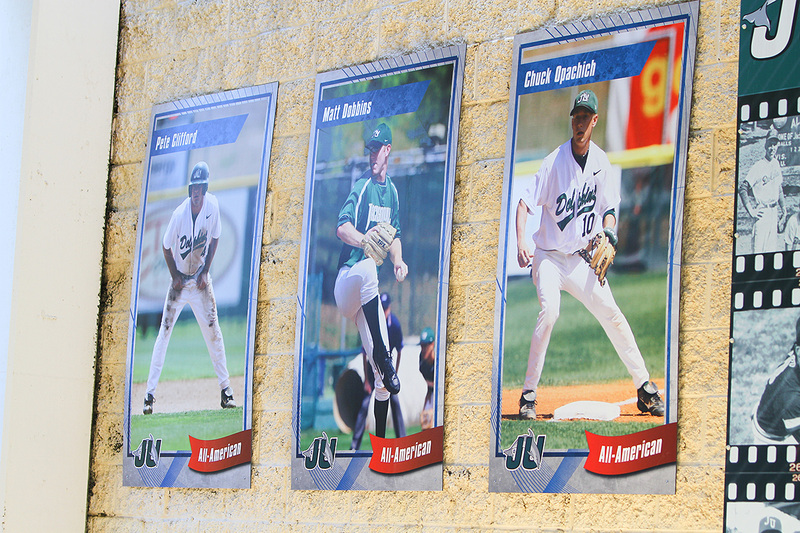 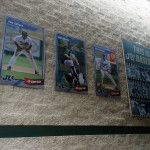 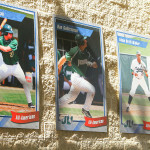 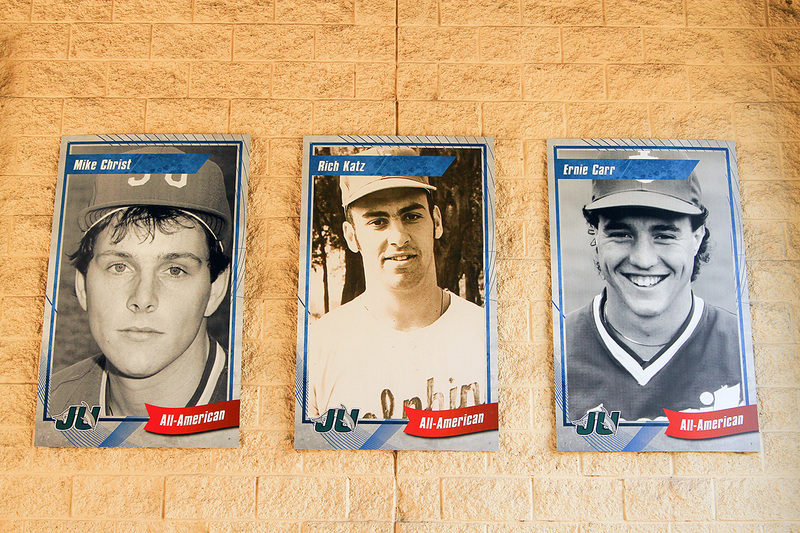 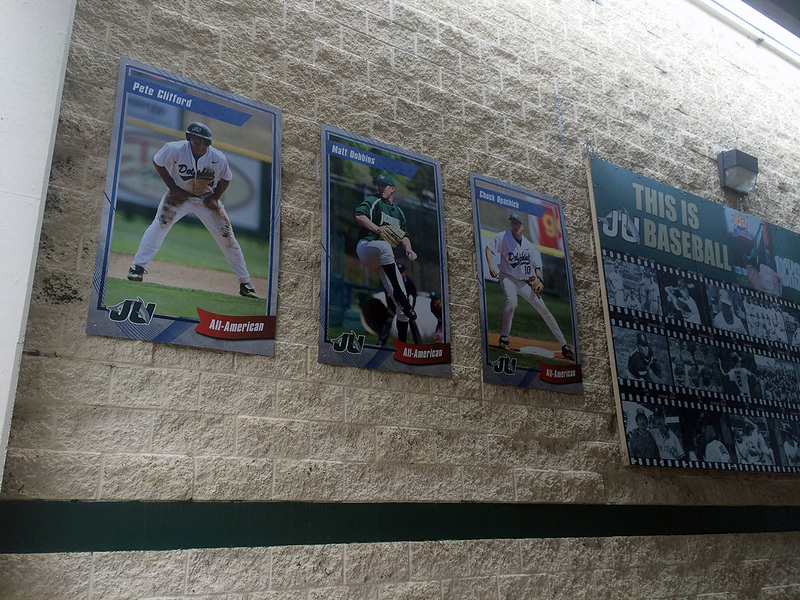 A 15-foot-by-15-foot mural honoring former Dolphins Adam Brett Walker, Daniel Murphy and Matt Dobbins is centered in the area above the main entrance to the Pavilion and flanked by banners commemorating the 14 NCAA Regional appearances. 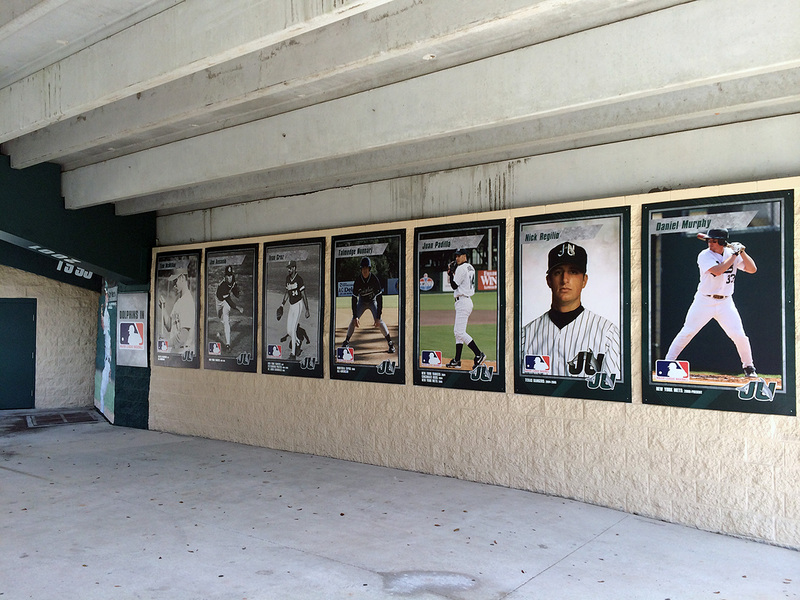 The changes at Swisher are, likewise, immediately noticeable. 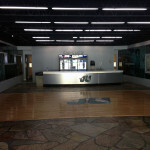 Where old shrubs and bushes used to be, a new row of palm trees lines the front of the gym. 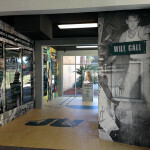 In the lobby, the old plain gold walls of the past are gone in favor of gray bricks overlaid in deep green, with a collection of photos that highlight some of the best players to ever represent the Dolphins. 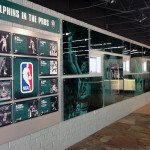 Inset across this area are sections dedicated to each sport that calls Swisher Gym home, as well as a place where the 10 former Dolphins to make it to the NBA or ABA are highlighted. 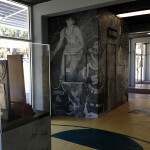 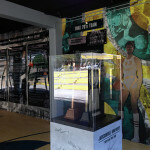 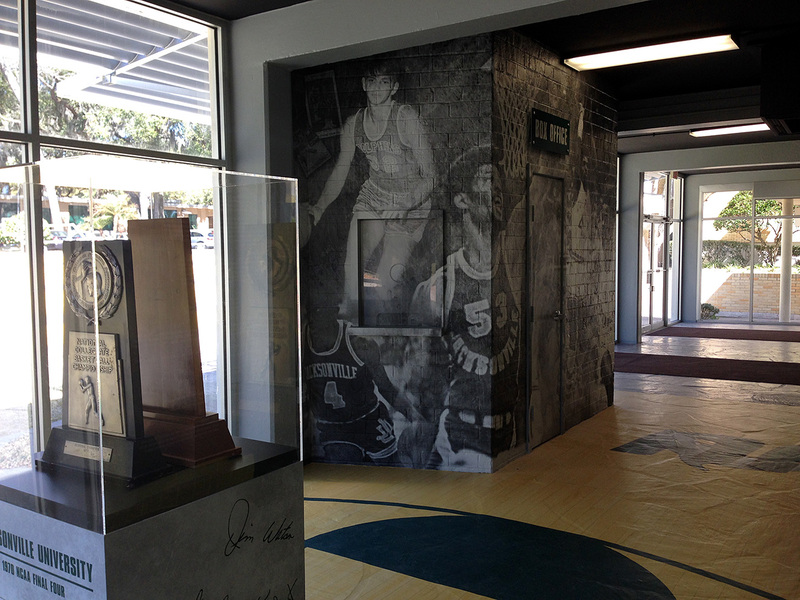 The 1969-70 Jacksonville men’s basketball team receives a special space of its own. 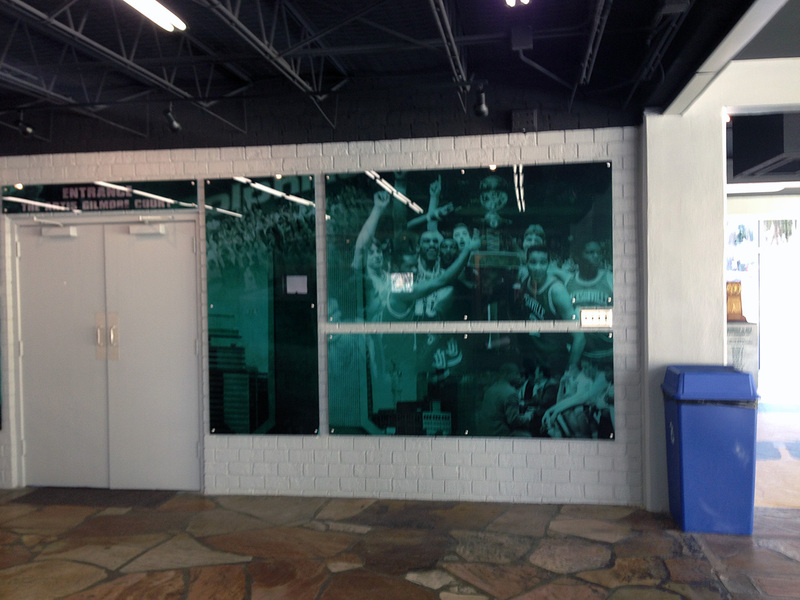 As you enter and look immediately to your right, the NCAA Regional and NCAA Runner-Up trophies are encased in a standalone glass case. 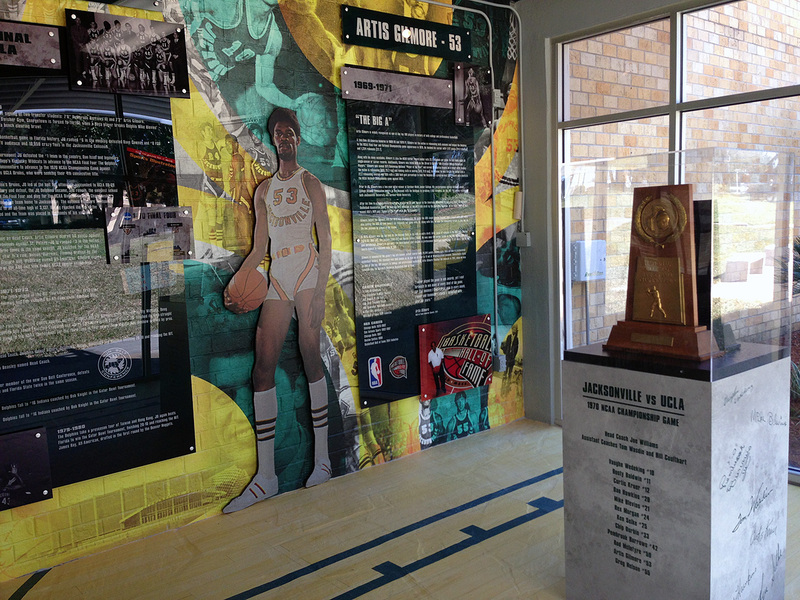 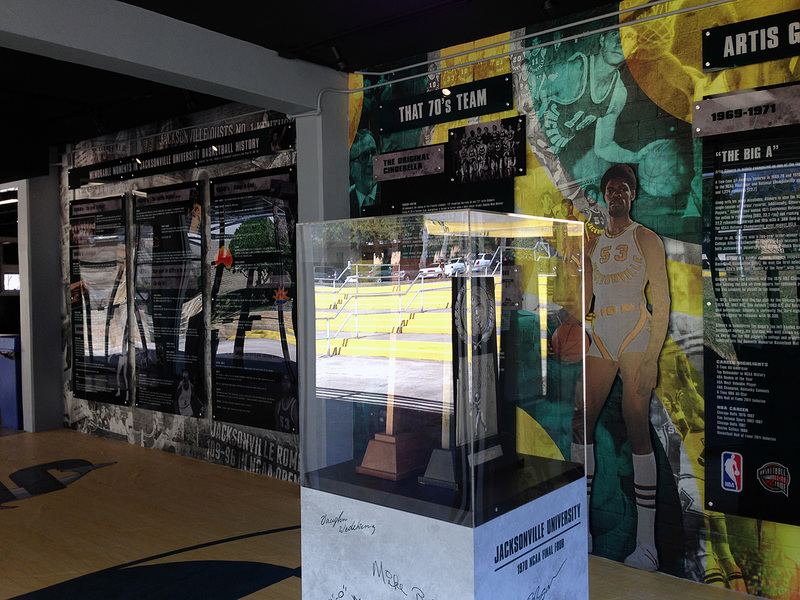 On that wall is a timeline that highlights the career accomplishments of JU’s most famous professional athlete, Artis Gilmore, along with a life-size picture of “The Big A” from his time wearing the Green & Gold. 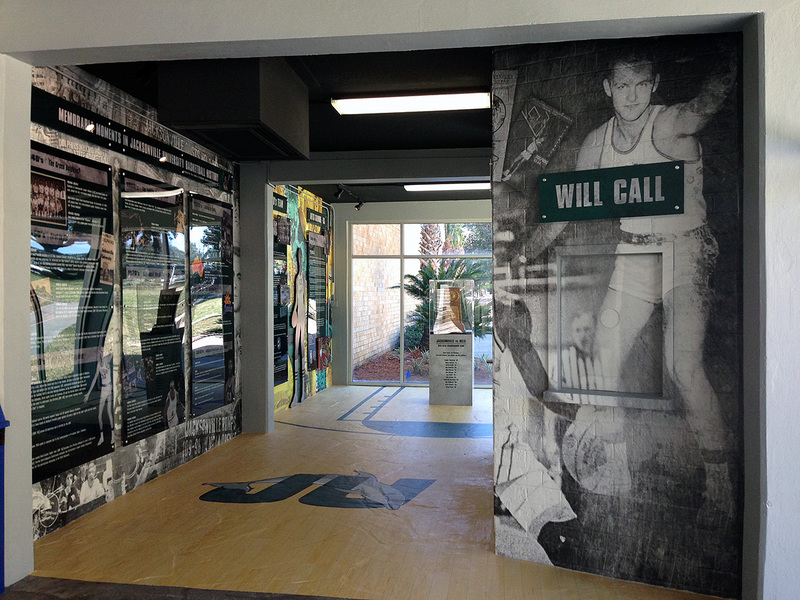 Along the same wall is a timeline of the men’s basketball program going back to its origins in the 1940s. 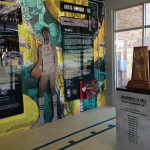 The changes continue at court level, with new banners adorning each wall, including those for every former student-athlete who has had his or her number retired: Dee Brown, Artis Gilmore, Rex Morgan, James Ray, Otis Smith and Roger Strickland from men’s hoops; and Ann Morton from volleyball. 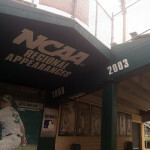 Opposite, on the west side of the building, is a banner for all the postseason trips the programs have collectively made, including this year’s NCAA Tournament run for volleyball.